Adobe Photoshop can be a really daunting program. Do you remember the first time you opened it up? Much like anything else, it takes time to get good at it. Even with what you know now, you still realize there is a lot left to learn. The Internet provides such a valuable resource in learning the program. 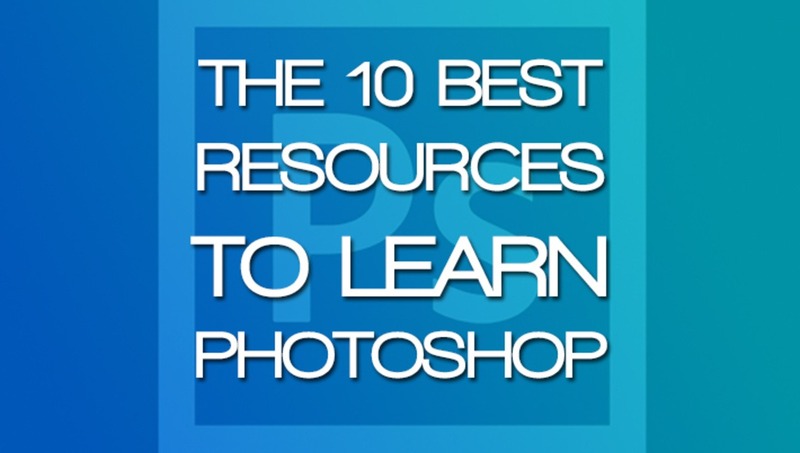 Here is a list of the best resources to learn Photoshop! More than ever, there is an immense list of avenues to explore in order to get up to speed. Another issue is that there are too many choices. Since anyone can publish tutorials, the sources may provide bad information that isn't necessarily correct. Here are some sources that you should definitely consider. These are geared toward beginners or people who are looking to just learn more about Photoshop! This may be me favorite resource. It isn't free, however, it provides such amazing content that I do believe that it is well worth the price. Starting at just $25 a month, they offer over 290 Photoshop courses and 17,000 video tutorials! Not only that, the instructors are world class and easy to follow. They are even categorized by skill level. You can fine tune your education by going straight to the basics or exploring specific tools or techniques. If you have a favorite author, you can look through all their videos. I personally recommend Chris Orwig's videos. He teaches at Brooks Institute. It is a testament to the level of talent teaching at Lynda. 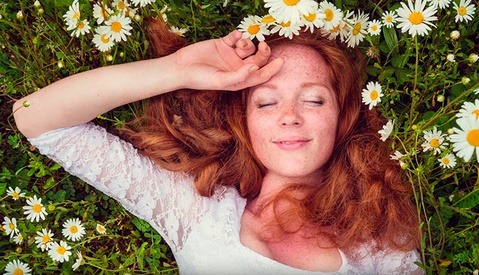 Another great part about Lynda is that there are plenty of topics other than Photoshop! Check out all the subjects available through their library. Similar to Lynda, Kelby One is another premium tutorial site that primarily stays closer to photography and Photoshop. I'd recommend browsing through the subjects and categories to see which you may prefer. It mostly comes down to personal preference and what you are specifically looking to learn. I do like the transparent nature of both of these sites. They offer you to see exactly what you will be learning before paying for the membership. 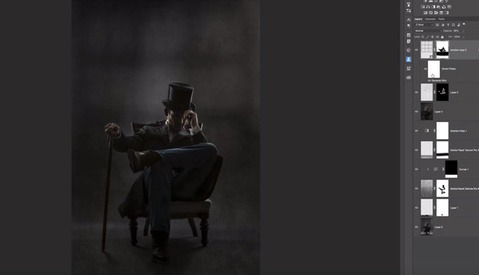 Aaron Nace is a household name in the photography industry. What I enjoy about the site is the unique tutorials you find. There are a lot of tutorials that go over different special effects. In the process, you learn a lot about the program and tools that you would never really venture out to learn on your own. It allows you to incorporate them into your own workflow. It is how I personally learned much of what I know, by following random tutorials on the web and discovering tips that I placed into my digital toolbox of techniques. You'll be surprised when they will come in handy! Phlearn also has a section of great free episodes that is constantly being updated as well. Aaron's personality is really a positive of Phlearn, making it enjoyable to watch. What I love about Creative Live is their ability to bring the instructors that people want to see and they give them a stage. Who they bring on constantly changes, so keep an eye on free broadcasts that happen live through the week. You can explore their previously aired shows by checking out their catalog. If you look down the left column, you will see all the categories, aside from the software column, that can be very useful to practically anyone in our field. If you want to check out who's coming up in the future, you can look through their calendar. I really enjoy Creative Live because it gives people a chance to learn for free. Each show has a rebroadcast that happens in the evening for people who miss it during the day. Every year, they also have Photoshop Week that is a wealth of information in one week. You can even purchase the entire collection to watch at your leisure. Before these sites were available, we used a lot of other tutorial sites that were quite basic but contained all the information we wanted to know in order to learn the program. A few that come to mind are Photoshop Cafe, Photoshop Lover, Pixel 2 Life, PSDBox, Tuts+, and Good Tutorials. If you know exactly what you want to learn, you can easily type in the tool and get a grasp on it right away. Also don't forget, here at Fstoppers, we post a ton of great videos that we find across the web! Check out our post production category for pages of free content relating to Photoshop and post production. Youtube is a double edged sword. You can find a lot of great and terrible content. I would recommend knowing what you want to look up specifically before going in. Also, take it with a grain of salt as well. It's best to use Youtube for looking up how to use specific tools and techniques instead of “retouching” for instance. One channel I personally recommend for some quality (and specific) videos are by Michael Woloszynowicz. Sites like Ledet allow you to sign up for classes that come to your city. They get you up to speed in a matter of days. Although it is a pricier option, it's very effective. Consider the option of signing up at your local college that offer courses relating to Photoshop. A hands on approach can be very effective. I believe it's a cost effective option as well. If you prefer learning through books, there's an assortment of good content such as the “Classroom in a Book” series. One of my favorite authors is Katrin Eismann, who has a whole collection of great books! If you're looking for books regarding adjustment layers and blending modes, I'd recommend Scott Valentine's books. With this site, you can tune into each episode. What I like is that it's easy to sort through the content to see what you want to watch before looking at each episode. They have been on for quite a while and it is a great online show for people looking to learn a variation of techniques. If you're looking for education regarding retouching, there is no better place than checking out these videos at Digital Photoshop Retouching. They contain great content by many familiar names in the industry such as Natalia Taffarel, Krunoslav Stifter, and Julia Kuzmenko (who also owns Retouching Academy and writes here on Fstoppers). This wasn't a low blow to you! This site gives you a comedic way to learn Photoshop. Actually, take that with a grain of salt. Although the amount of education is trivial, I wanted to include this for the intent of entertainment. Be sure to click on “previous episodes” on the middle of the page to access all the videos. They are worth watching if you use Photoshop in any way! I would also like to give a special thanks to all the creatives who chimed in to suggest some of these resources! If you have any more resources that you'd like to recommend, be sure and post them in the comments below. In case you liked this, I will also be teaching a few retouching classes at the Fstoppers Workshop in the Bahamas this May. I'll be going over my workflow and techniques that I use on a regular basis. Check out the details here: http://fstoppersworkshops.com/pratik-naik/. Come out and spend some time with us, you need that break! Check out the promo video on what you can expect at this year's workshop! I find Lynda.com far too dull and straight laced in their approach, I can't watch a whole video without falling asleep. Phlearn on the other hand is an awesome resource and Aarons teaching style is both fun and really in-depth. He has so many free videos you'll wonder if you need to even purchase their Pro videos, but I highly recommend them, you'll be a photoshop master in no time (ish). Also you didn't mention the wonders of Glyn Dewis (http://glyndewis.com), he has a great youtube channel and website and although not as fun as Phlearn, he's very informative and got some great videos to learn from! Haven't looked into Lynda but Phlearn is probably the best PS resource out there IMO. There are TONS of free tutorials both on his site and on Youtube that will really get your skills going. I also highly recommend his paid tutorials...they are worth every penny. He really communicates very well the thought process when attacking a large edit which a lot of other tutorials miss. Most folks just edit a bunch of things and don't tell you why they did what they did. Youtube is the ultimate treasure trove for PS related vids. Hilarious use of the English language though quite useful. Surprised you didn't mention that Adobe themselves has a whole library of resources about Photoshop and all the other Creative Suite programs free of charge. I tried taking training from Lynda and I really wanted the hands-on approach. I then took a training with Ledet, and I was extremely disappointed. Finally, one of my friends recommended http://thinkbiglearnsmart.com and the training was fabulous! Ledet and ThinkB!G are similar in that they do hands-on Adobe Authorized training, however I'd recommend ThinkB!G any day. Also he has a YouTube channel with many, many free tutorials. Lee's method of teaching is supportive and friendly and he has the talent to make complicated subjects surprisingly easy to understand. He teaches workshops online and also at places like Santa Fe, Maine and Woodstock, and also he does Private Instruction. Lee is one of the best instructors in the country, so he's well worth taking a look. Phlearn! This should be number one. Aaron makes it fun and get you pumped up to photoshop party. Does anyone know if Aaron is here on fstoppers? Thank you so much for a great information. I want to add one more website - Learnvern.com. I just enroll photoshop course from Leanvern to learn photoshop online, LearnVern Provides training and photoshop course online for free. A student can enroll photoshop course for free and learn photoshop step by step with video examples. At the end of every session, a student can find a quiz to improve the knowledge. LearnVern is a perfect photoshop tutorial. It's really amazing & easy website to learn photoshop. I am also going to share it to my friends and over my social media. Great and helpful ! now I have a great resource to send my friends to when they ask about learning Photoshop. Great post regarding the powerful tools in Photoshop. Thanks for posting this. I found a similar post on Photoshop tools http://www.postproductioninstitute.com/blogs/top-10-tools-you-need-be-ma... I hope it will help you.